CrossFit is like no other type of exercise you’ve ever experienced. Whether you’re young or old, experienced or just a beginner, there’s something for you here. One glance at our facility will show you that it’s not like a commercial “gym”. There are no rows of shiny machines here. And you don’t have to figure out an exercise regime all on your own. What you WILL find are tires, medicine balls, kettlebells and rowers … along with a dedicated staff, delivering workouts that will challenge you at every level, all while carefully monitoring your progress and pushing you to achieve your goals. 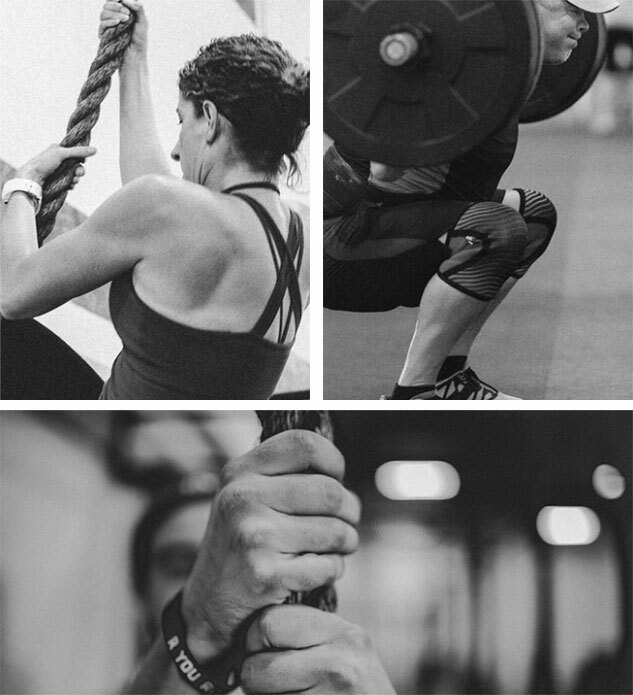 CrossFit utilizes functional movements—movements you use in everyday life—in a high-intensity setting, to make you stronger for the stuff that really matters—your LIFE. It’s plyometrics, it’s weight lifting, it’s calesthenics and it’s light gymnastics … it combines cardio workouts with weight lifting through high interval training to boost your overall speed, strength and stamina, all with one goal in mind—to create a healthier YOU.